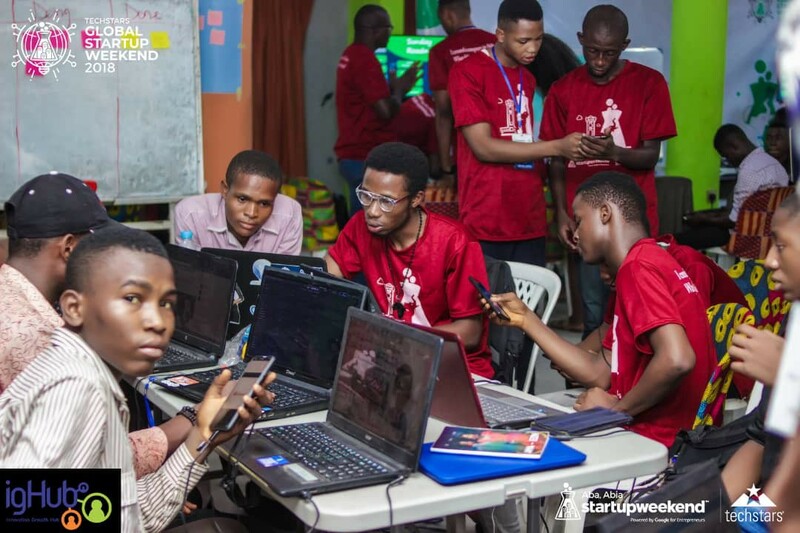 On 16th to 18th November 2018, Innovation Growth Hub (IgHub) hosted the Techstars Global Startup Weekend 2018 in Aba; the center of SMEs in South East Nigeria. Located in the bustling city of Aba, IgHub is a tech and business incubation hub with a growing international reputation as a hotspot for creatives, techies, digital marketers and business people. It is considered a prime example of the symbiosis of growth, innovation and culture that has made Aba one of the fastest growing cities in the Nigeria. 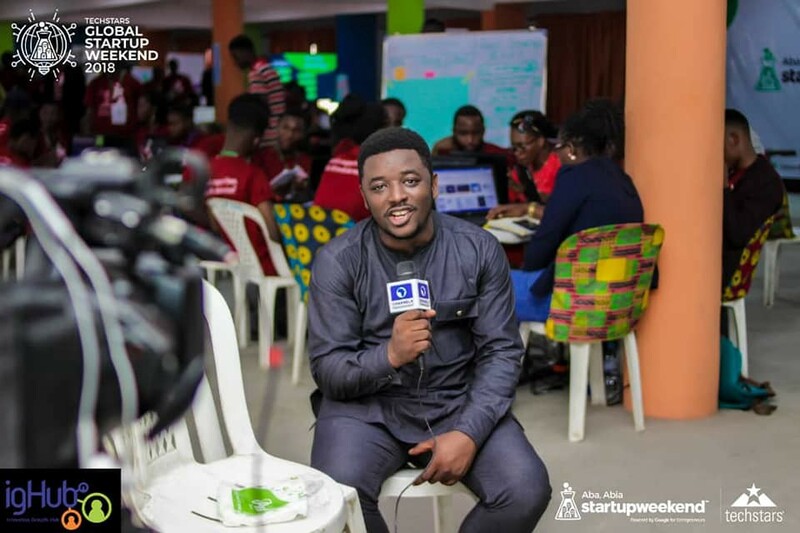 One of IgHub’s core deliverables is to host and organise value driven events and the Techstars Global Startup Weekend is a non-debatable example of such event. Techstars Global Startup Weekend is a 54 hours long event that lasts through a weekend where participants generate an idea, validate it, form a team, build their solution and pitch to a panel of judges. Winners usually represent their city at the regional level to compete with other startups representing their cities from their various countries. 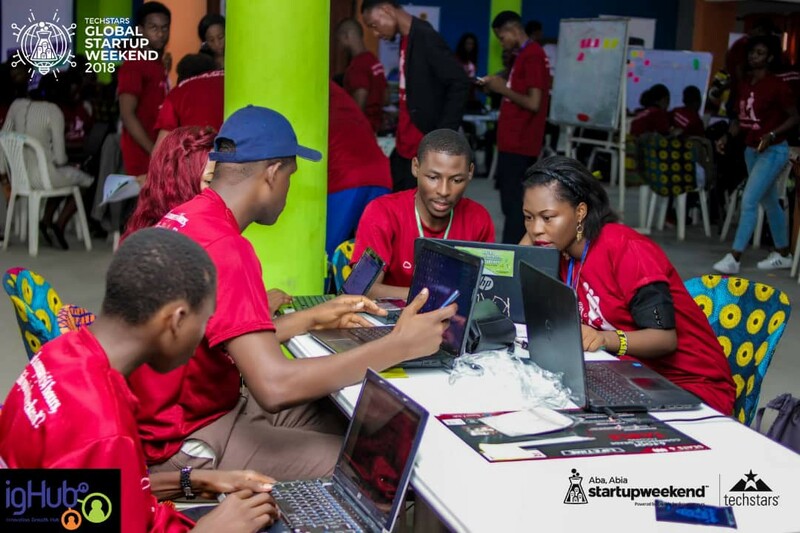 With support from the local community of tech enthusiasts and industry experts, IgHub hosted this year’s Startup Weekend which birthed 8 startups who validated and built a business out of their ideas within 54 hours of work that spanned across idea validation, market research, business model, product development and marketing. Highlights of the event included Pitching and Voting sessions, Mentoring sessions, Speeches by Industry Experts and a lot of networking, fun and food. Usually at the end of the Startup weekend, a team with the most viable product is announced as the winner after critiques by judges. Digikonnect: A company that uses their platform to build strong connections and relationship between digital marketers and startups who needs their services. Fast housing: An online accommodation and renting platform that eliminates the rigorous process of getting accommodation by connecting people searching places to stay with landlords. Discover Tutors: A service that helps middle-class parents get easy access to qualified tutors and provide flexible means of income for the tutors. Abaglobal: A business platform that enables people to discover where to do business in Aba without the fear of being scammed. Camsupport: A community of camera professionals and creatives that fosters the exposure of professionals in the photography industry to thrive. Udex: A platform that allows its users to make fashion designs of their choice and their chosen fashion designer can make it for them. Just Started: A company that helps startups build profitable and sustainable business through research and entrepreneurial education. Creative Kids: A platform that gives visibility to creative children between the ages of 5–16 by giving them access to mentorship and opportunities for them to receive sponsorships. 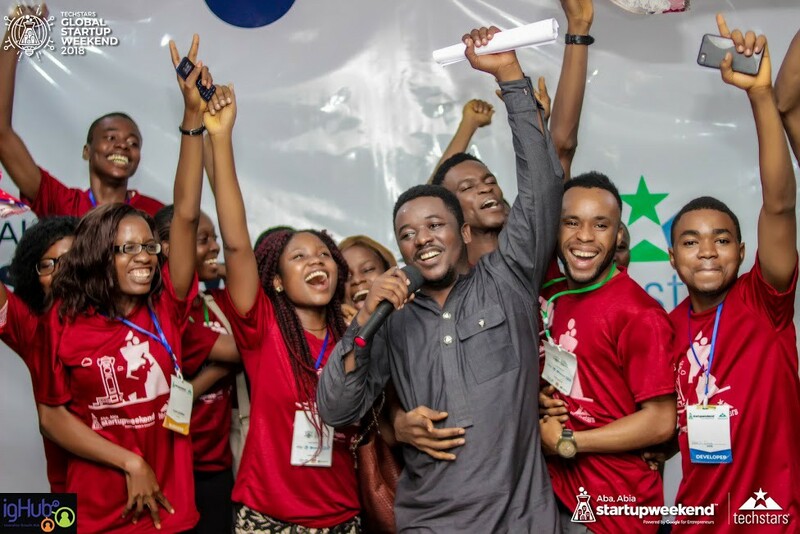 Of these 8 startups; Discover Tutors emerged as the Winners of the 2018 Global Startup Weekend Aba. There was also media presence by Tech Trends from Channels Television who interviewed the CEO and the new founders. 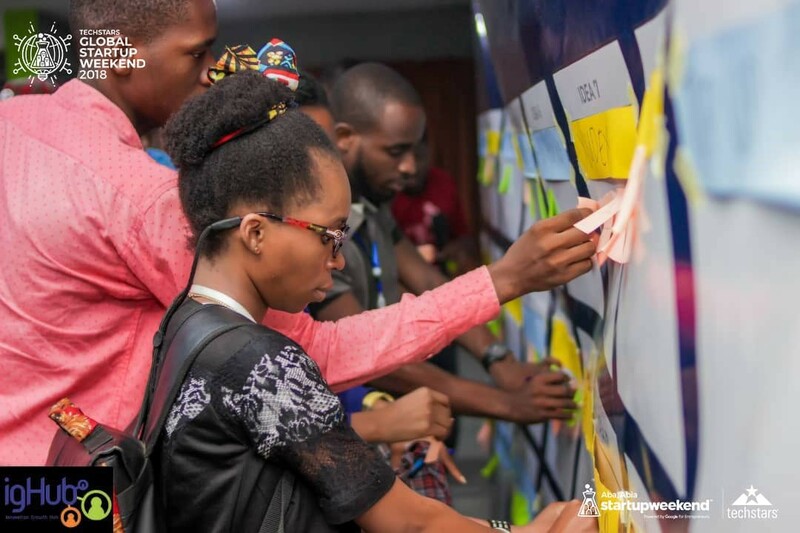 The 2018 Startup Weekend was graced by the presence of various industry experts such as Hanson Johnson of Start Innovation Hub Uyo, Bruce Lucas of Olotu Square Port Harcourt, Chukwuemeka F. Agbata of Channels TV Lagos, Prosper Otemuyiwa of Auth0 U.S.A, Elizabeth Kalu of Manifest Network Lagos, Igwe Uguru and Nnanna Kalu of Rad5Tech Hub and Edward Esene of Haptics Lagos who served in different capacities as Mentors, Coaches and Judges during the event. As the year is coming to an end, we eagerly anticipate the impact all our efforts so far at IGHUB will yield. As the CEO, Daniel Chinagozi keeps saying “No innovation will die in Abia under my watch”. 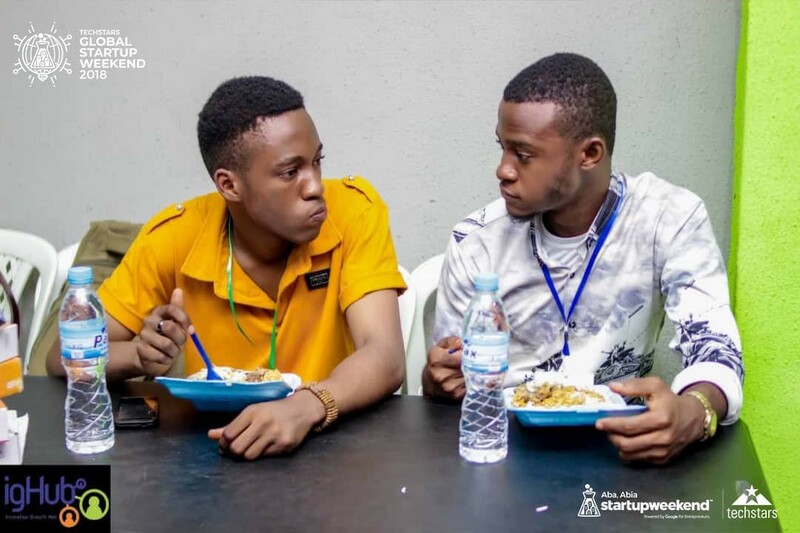 About Innovation Growth Hub: IgHub is a tech, business and creative hub that provides mentorship, incubation, funding opportunities and resources to startups no matter their stage to help them grow and be profitable.